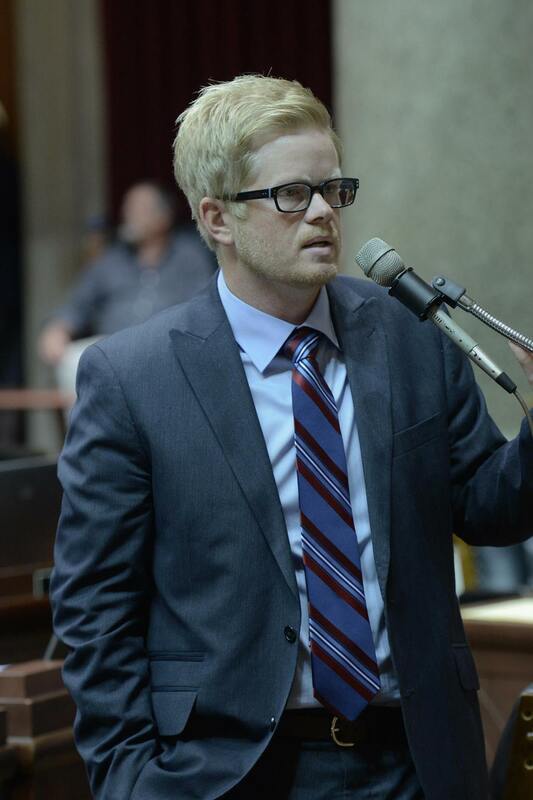 Senator Caleb Rowden was elected to the Missouri Senate in 2016, representing Boone and Cooper Counties. Prior to his election to the Senate, Rowden served two terms in the Missouri House of Representatives. He was first elected to the Missouri House in 2012, becoming the first Representative in the history of Missouri to beat two former State Senators in a Missouri House race. Rowden was reelected in 2014 by an impressive 63-37 margin. Senator Rowden is married to Aubrey Rowden, the co-owner of Love Tree Studios, a wedding photography company based in Columbia, MO. They are proud parents to Willem Keane (born February 9th, 2013) and Adele Lisette (born October 29th, 2018). In addition to his legislative duties, Senator Rowden owns Clarius Interactive, a media and marketing company also based in Columbia. Senator Rowden has spent his life in service to others. He enjoyed a successful career in full-time ministry as a touring Christian singer/songwriter. During that time, he played in 45 states, selling thousands of records and garnering two top 20 national radio hits. He also participated in multiple mission trips, ranging from serving the homeless in Atlanta, GA to a month-long internship ministering to the people of Reynosa, Mexico. Senator Rowden’s passion for serving others is what has motivated and informed his career as an elected official. He is as committed and passionate as he has ever been in his resolve to see this community continue to be a great place to live, work and raise a family. Senator Rowden has been steadfast in his support for K-12 and Higher Education and has played a significant role in creating a positive environment for Missouri’s small businesses through his work as Chairman of the Missouri House Economic Development committee.